Composting is great, but not in your gutters! Revamp your home back to its pre-winter shine! Don’t ignore it, restore it! 50% less than rebuilding a new one! Learn the incentives of our loyalty program. FANTASTIC! We were having an incredibly difficult time finding a company that had expertise in replacing historic slate roofs and were so relieved to have found Gutterman. 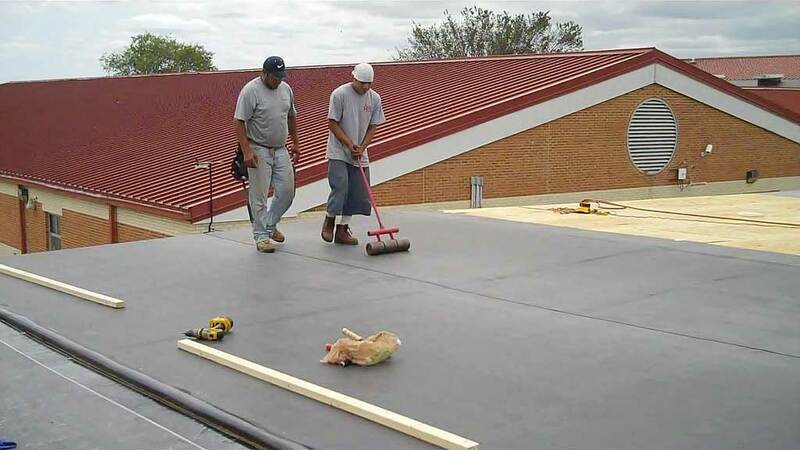 We first met with Jorge Rodriguez-Sawao, who came to our house and provided us with honest information about all of the different roof types and was a constant contact through the entire project. He is amazing! Then we met with the entire team, received a quote and a timeline. Chris Pauly, the boss, was incredibly knowledgeable and looked into things everything we asked about, to include the less common Buckingham Slate, which is what we ended up using. And Tony was the artist with slate who ran the project at our house. He would always text when they arrived, if there were any weather delays (almost none because they worked through everything), and would always respond quickly. The team was clean, respectful, covered areas of our property for protection, re-seeded areas of grass that reasonably were damage by the massive construction and were FAST! They replaced our roof in 3 weeks, when every other company quoted us three months! Gutterman made replacing a historic slate roof look easy! And our roof looks beautiful! We had to completely replace our roof as a consequence of the damages suffered from the windstorm that hit the Washington metropolitan area, in early March of 2018. Despite the short notice received by Gutterman Services, Mr. Jorge Rodriguez-Sawao showed up in time to participate in Allstate initiated estimate of damages done by the windstorm and helped in assessing the quantity of work required. He and his team, including Mr.Charles Miko, immediately executed temporary fixes to contain damages. After discussing options and agreeing on price they promised to complete repair work by the end of March, 2018. I received a ‘heads up’ call 3 days ahead of the scheduled date. The team showed up early in the morning, on time, on schedule and quietly started work on my new roof. By early afternoon, the same day, the old roof has been cleared away and replaced by a shiny new one, the place around my house thoroughly cleaned, not one nail left laying around. Mr. Charles Miko went above and beyond duty, and fixed the shutters also damaged by windstorm on my house. Job well done! As a customer, I am very satisfied. INDEED! I was impressed by the way Gutterman, particularly Charles, addressed the repairs on my step-daughter's roof. The man knows his trade, and is not one to try to encourage repairs beyond what is needed. He found what needed to be done, and was clear about why and how he would make the repairs. He is very bright and well spoken, so there was no problem understanding the issues, and he was able to dumb them down for me. He also called me as requested prior to arriving so that I could meet him each time, and sent me texts of before-and-after photos. The day of the repairs, the temp was up to 100 degrees. I asked if I could bring him a drink, and he refused, saying, "We are professionals. We are prepared for this sort of thing". He also refused a tip. Lastly, it was clear to me that Charles is very loyal to Gutterman, which speaks to them as an employer, as well as to him. Although everyone I spoke to at Gutterman was efficient, it was Charles who makes Gutterman the kind of company who I will choose to do business with again. 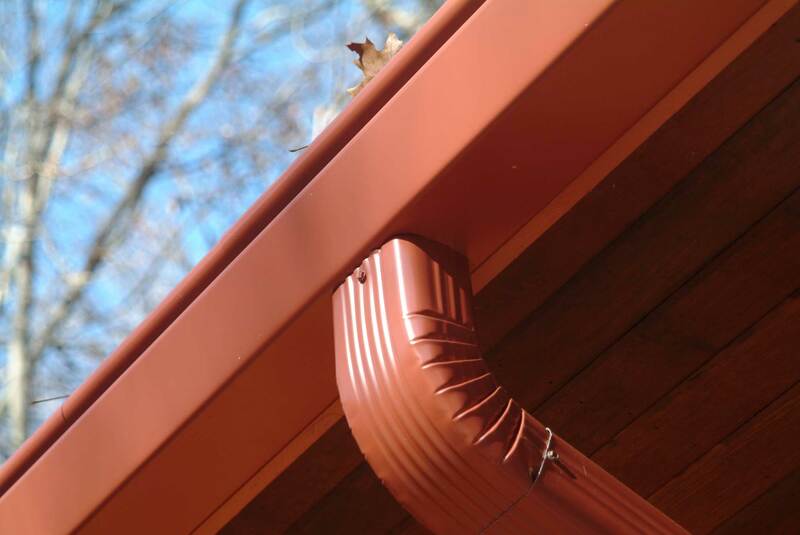 About 10 years ago, we purchased and had installed some 2-3 hundred feet of KGuard Gutters from Gutterman Services. They did an outstanding job of installation and cleanup of our previous gutters. They have proven to be outstanding even all these years. Moreover, Gutterman has been excellent in routine inspections every few years, including checking our roof and fireplace flashing. We've noticed that there is little turnover of staff there and thus these people really know what they're doing. Moreover, I've spoken to some of the staff and they all sound genuinely very happy to work there. This and other things I've read in the media about the family company, which goes way back to humble gutter cleaning services but has grown significantly since then, are markers of excellent management of the business. 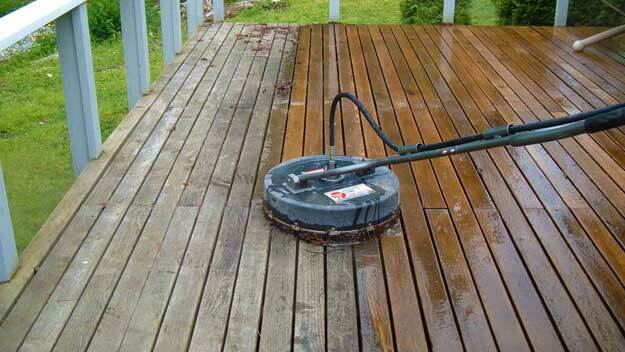 We've also made use of their hi-pressure water-cleaning services for our patio furniture with excellent results. If we required other services, e.g., solar attic fans, patio cleaning, roofing services, etc., Gutterman would be my first choice. I have posted recommendations for them on our 1100-home neighborhood civic association, and to others. Can't recommend them too highly. What I love about Gutterman Services is their "can do" attitude. They never come to me with problems as to why they can't do something but with solutions for the best way to do it. 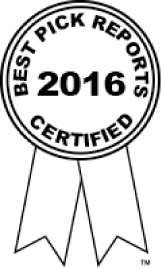 I have been a loyal customer because they deliver first class products, they have top notch technicians, and their service is unmatched. I wouldn't trust my biggest investment to anyone else. Anthony, Armando and Kevin turned my front porch into a thing of beauty! The columns were rotting and the railings were rusting. They installed new columns wrapped in vinyl and sanded and painted the railings. They did a fantastic job, working very diligently to get all of the old paint and rust off the railings, and finishing off the columns expertly. I am very happy with the result and would recommend Gutterman highly for any work they do. Their bid was very competitive. Gutterman was willing to accommodate my requests to not use heavy equipment on my driveway, and to keep their ladders off my Gutterman installed gutters. The crew were professional, skilled, and hard working. The crew left the work site clean each day and did a thorough clean up after completion. "The workers were very professional and did a great job. They noticed that the gutters were incorrectly installed on the front fascia, because the drainage slope did not allow the water to flow to the outlets. In a short time, they flushed all of my gutters and sealed the corners that were leaking. The customer support was extremely courteous and provided the scheduling information and estimates. The price was reasonable for the amount of work performed. 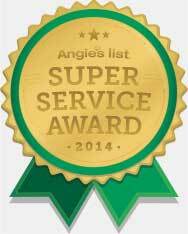 I would highly recommend this provider to anyone needing gutter service." 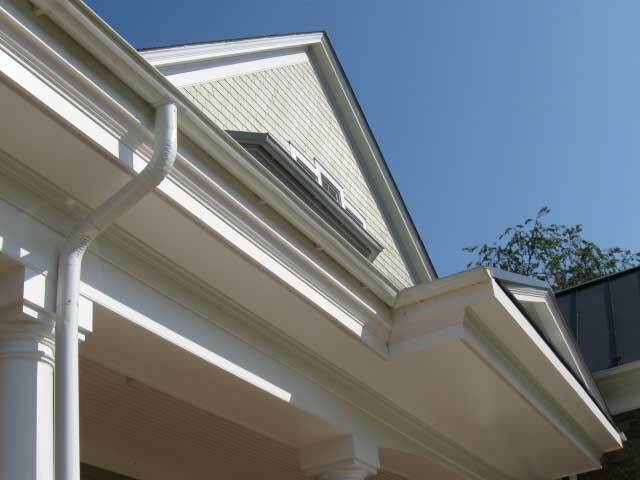 “We have used Gutterman to clean our gutters in the spring and fall since 2010. Scheduling is easy. Staff are professional. The guys are punctual and walk the entire roof area and let us know when they find things in need of repair (which has happened twice). They clean up the debris and leave our place looking like it did before they came. We are so happy with their services, we just signed a 3-year contract (which lowers the price to $234/cleaning). 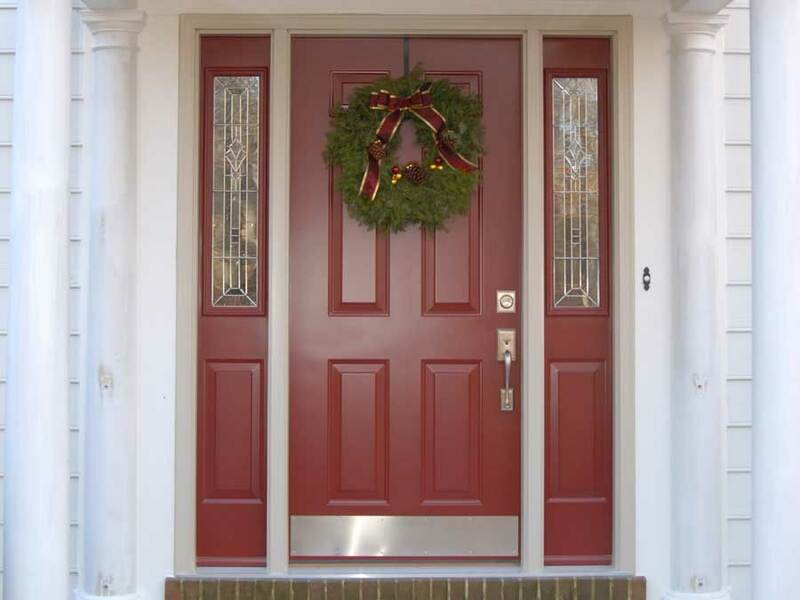 “They were on time, very professional, worked very methodically and thoughtfully. 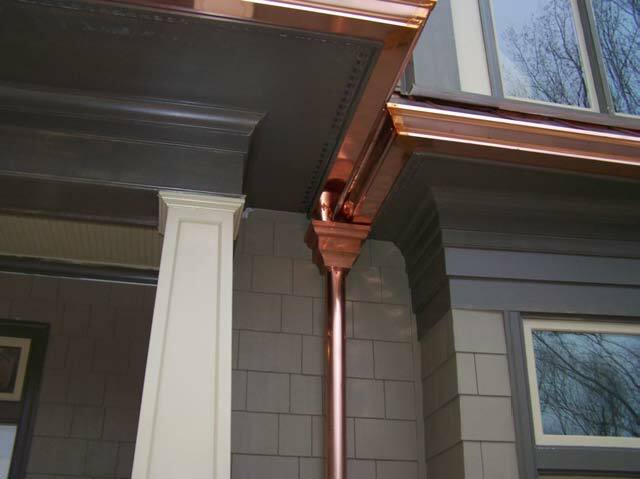 They suggested a different way to running one downspout that was going from the 2nd story roof gutter above the front porch into the first story downspout. It was both more effective and also much better looking from the street, as it hid that downspout. No additional charge was incurred. They cleaned up every little nail and scrap of old gutter, and hauled that old gutters away. Then they made sure we looked at every part of the installation before they had us sign off on the work. The men were very polite and very considerate of the fact that we had dogs that needed to go out in the fenced-in back yard a few times a day, so they made sure the fence gates were closed. Great to work with. The staff at Gutterman is extremely professional. I cannot say enough about the quality job they do from start to finish. They are trustworthy and stand by the quality of their work. I have been using their company for many years and I'm so glad I found them. I was very pleased Gutterman Roofing in the recent replacement of my old roof. Affordable and of high quality along with great work and professionalism sold me from start to finish. Special thanks to Terry and his great crew who made a great effort to keep the work area clean and to address the underlying roofing issues as well as around chimney areas. Great finish work. I highly recommend them for your roofing needs. Gutterman put a roof on my home this summer. Very steep roof Used Grand Manor lifetime shingles. Roof looks great! Could not have been more professional from start to finish. Thanks for the great job! They did my gutters last year, but the year before they did the roofing. I have also used them for siding work. The guys were just incredible! Four of the six townhouse in our connected complex replaced our roofs. They did everything just like they promised, arrived when they said they would, charged what the quoted and cleaned up after themselves. Overall they did a great job! 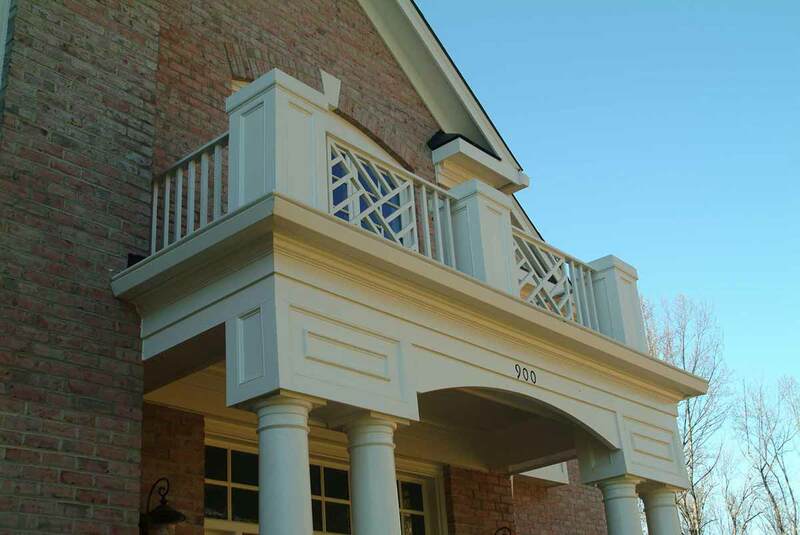 We used Gutterman to redo the siding and gutters on our townhome; when we moved into our new home it was an easy choice to use their services again. They did a terrific job from start to finish. The quality was excellent, on time and there were no hidden costs. I’d recommend them to anyone. In early December, the gutters crashed down in my single family home at 1am because of heavy ice. Thank goodness for Gutterman Services...I called them at 7:30am and they were here and had it taken care of by the afternoon...seriously amazing. I only had to keep my kids from playing in the snow in the backyard for half a day because they were so fast. With small kids, the speed and care they took in fixing the issue meant the world to me. If you live around here and ever have a roof or gutter issues, these guys were awesome. Incredibly quick response and great prices. High quality work for less money. We asked for quotes from other companies and Gutterman used higher quality materials and were less expensive than the other companies. That should be enough reason to use them but there's more. The salesman was nice, patient and very knowledgeable. He guided us through the choices we needed to make. We replaced our skylights and the new ones are gorgeous! You can always count on Gutterman Services; they make you feel like family. Every time I’ve needed help, I’ve been able to turn to Gutterman to come to the rescue. 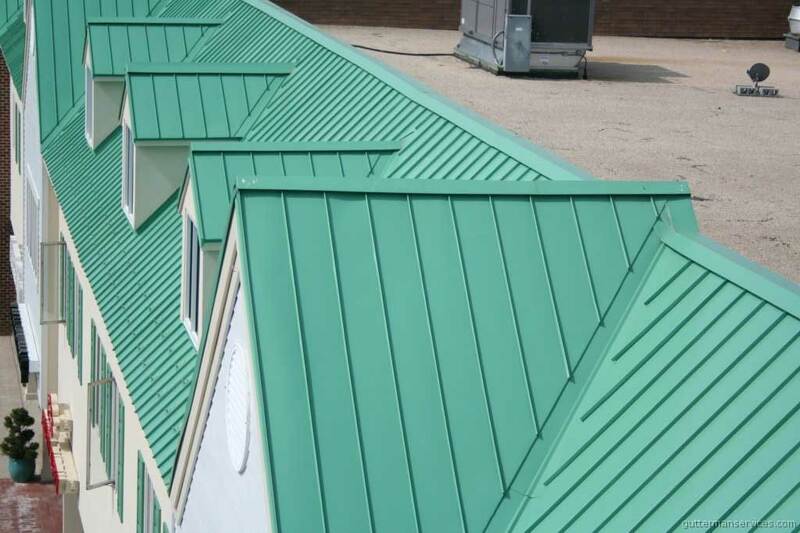 Gutterman’s professional and caring approach is why I am a loyal customer. We repaired our roof, replaced and wrapped of dormers, replaced rake boards, fascia, and gutters. I can't thank Gutterman enough for all they did for me! We initially had an estimate to do a complete roof replacement, but then decided to move. Per the home inspection, we had to repair a few places on the roof itself, replace rake boards and fascia, gutters and repair our dormer windows and wrap it with aluminum. Our buyer was very difficult and even though we had told her the work wouldn't take place until after closing (and agreeing to that!) she put a lot of pressure on us to get the work done early. Jorge and his team pulled through with a miracle and provided all required photos and documentation to our buyer. This is the type of service you always hope to receive, but rarely do. They replaced a lot of slates and snow guards on my roof . They are honest people and they do good work. Quality work and very easy to work with! Jorge and Kevin are great and now our house looks beautiful again! Gutterman did a wonderful job on our new roof, gutters, trim and refinishing our deck! We are so pleased with the outcome. 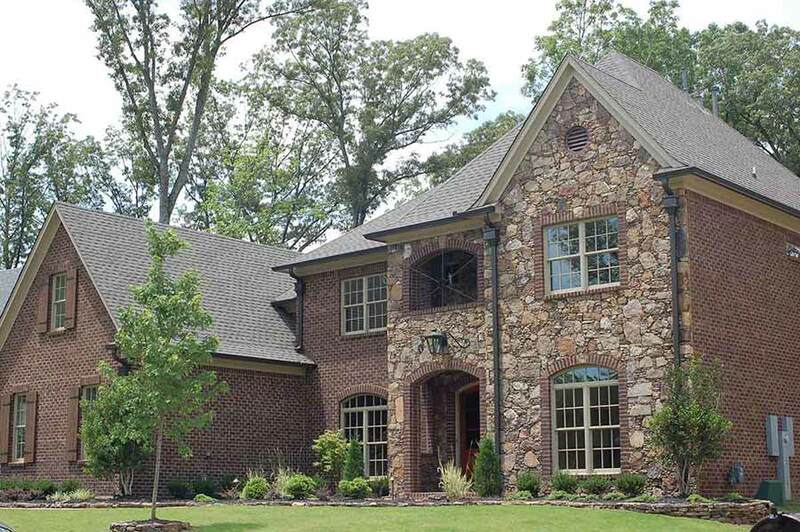 The project was done quickly and efficiently and it looks beautiful. Special thanks to Jorge for taking the stress out of the project and to Kevin for going the extra mile at the end. You guys are great! 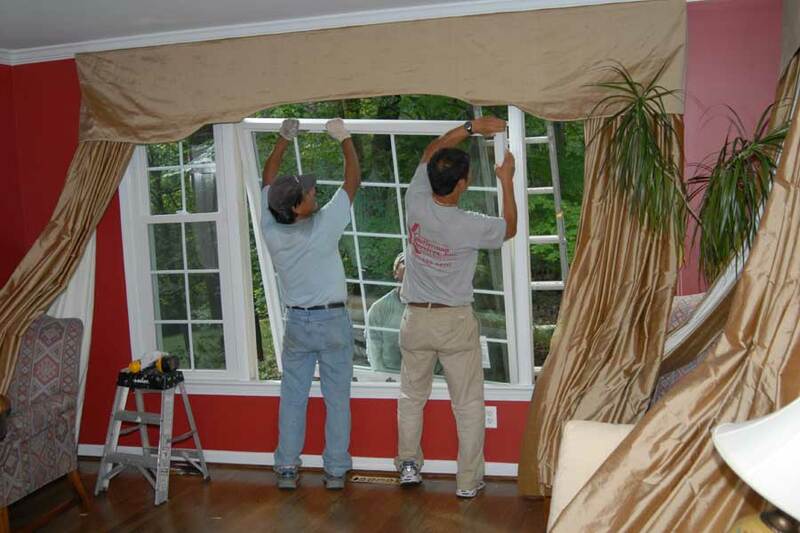 Kevin, Raul and Jamie from Gutterman Services installed new windows in our home. They were very professional and made the process very easy. They installed 10 new windows over a 2-day period, working diligently and meticulously to make sure the applications were perfect. I was amazed by how clean their installment process was too, they were very respectful about reducing their equipment impact and keeping our home clean from debris. They did a great job and I would definitely recommend working with them. I have had a service contract with Gutterman for years to clean gutters. Gutterman also does a lot more than just gutters. If the same thoroughness and professionalism is extended to all these other services, I wanted to continue working with this company. I was not disappointed. Larry Bowersox arrived on time; we discussed the project and Larry presented options, work time frame, and all supporting information. Even though this front door was ultimately repaired, I would not have hesitated to sign a contract. I sincerely recommend Gutterman Services. I just had several windows and a sliding glass door replaced by Kevin and his partner at Gutterman. They took their time and did a fantastic job with the installation. I was worried there would be a lot of inside cleaning, patching, painting and trim work to deal with after the installation, but that was not the case. The inside and outside of my house were left clean and in great condition. I also got a walk-through of the window features and instructions on how to adjust the tension on the sliding glass door, if I ever need to change it. One day after the installation, I received my final invoice. There were no surprises - it was the exact amount they quoted me in April. Fantastic!